Invacare Technologies is recognized as one of the best providers of home oxygen devices. 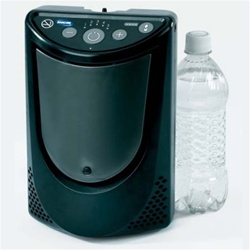 Invacare XPO2 is an innovative, lightweight and extremely efficient portable oxygen concentrator which has been recently added to the line of medical devices manufactured by Invacare. SleepRestfully offers the XPO2 portable oxygen concentrator on a competitive, budget-friendly price. We work directly with the supplier, so we can afford to pass on to you important savings on top quality brand name portable oxygen concentrators. The XPO2 by Invacare delivers oxygen in Pulse Dose mode and the device has 5 settings (1 to 5). The battery life is 2.5 hours on Pulse Dose setting 2. The device can be fitted with a supplemental battery that has 5- hour duration (model XPO110). XPO2 portable oxygen concentrator by Invacare helps patients regain their independence and comfort even while having to use constantly oxygen therapy. The design of the machine is extremely intuitive, modern and compact. A few years ago patients had to use bulky and heavy cylinders in order to get the oxygen their system required. Now, the compact, lightweight and easy to use portable oxygen concentrators allow patients to lead extremely active lives. 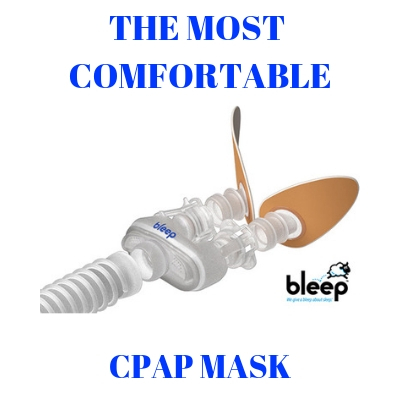 Thanks to the constant minute volume provided by smart SensiPulse Technology of the XPO2, patients can enjoy oxygen therapy that is custom tailored to their needs whether they relax at home, travel, walk or exercise.